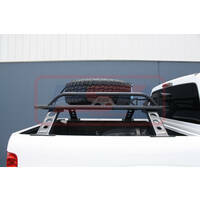 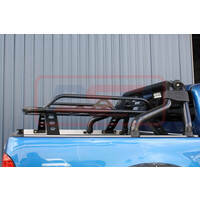 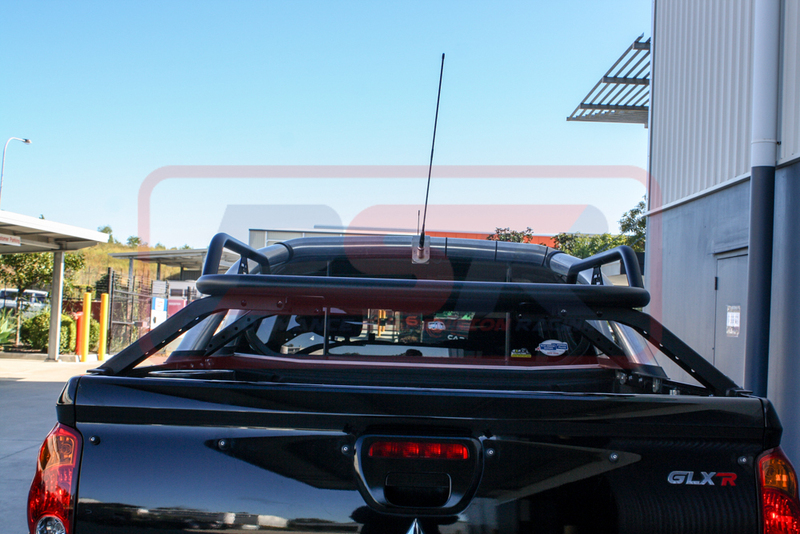 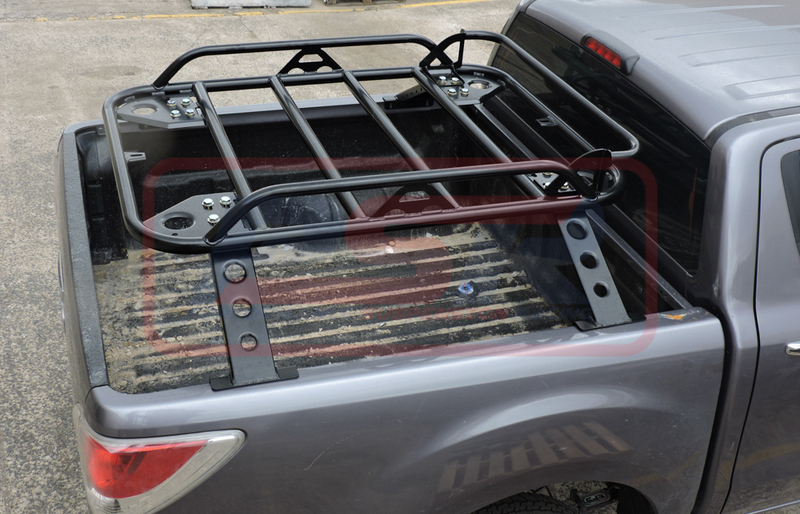 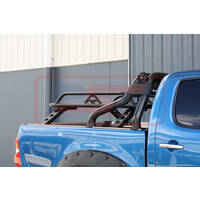 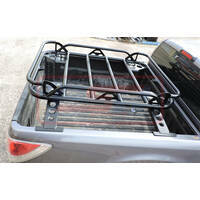 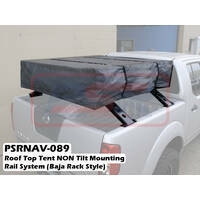 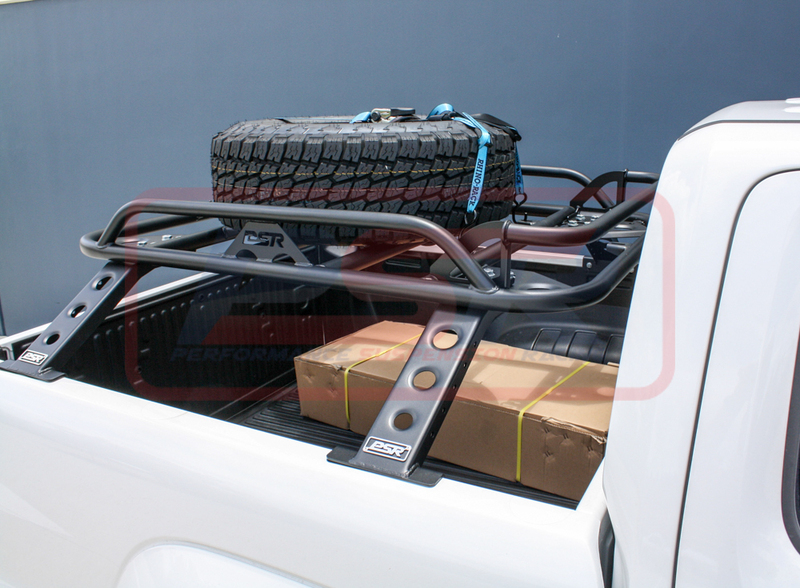 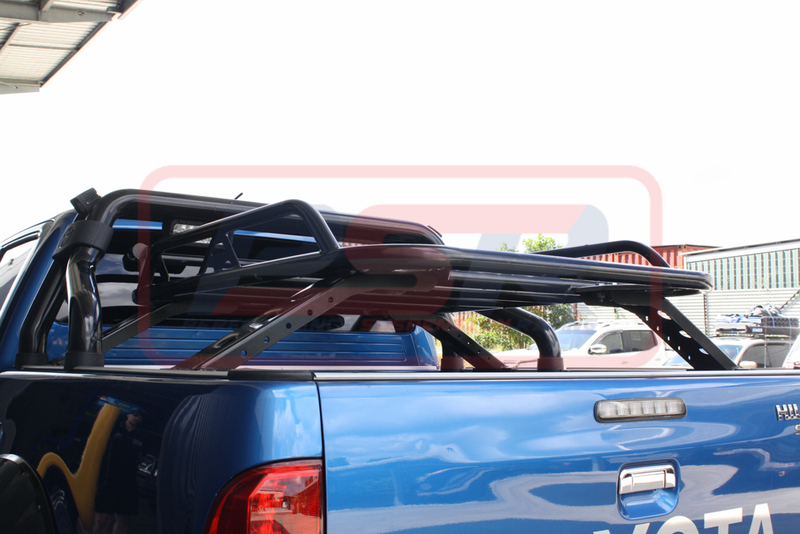 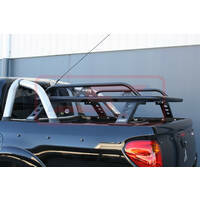 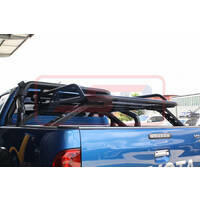 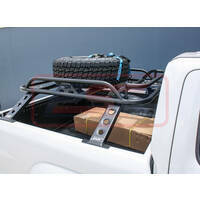 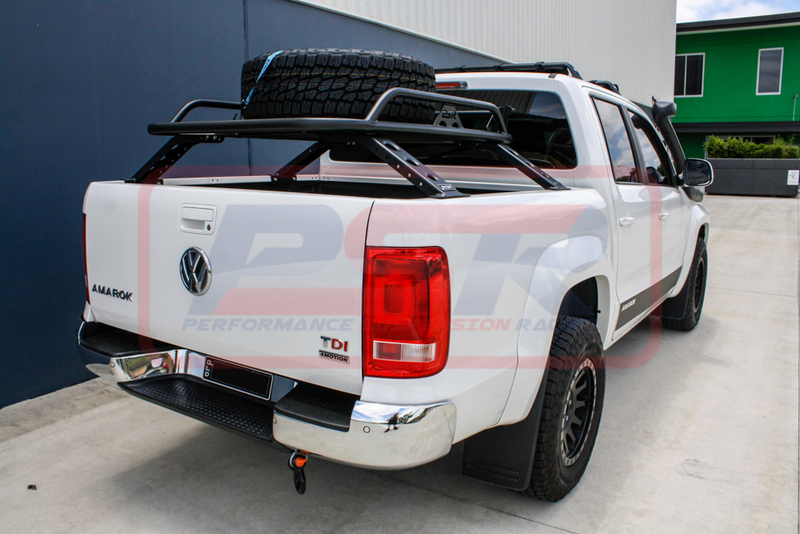 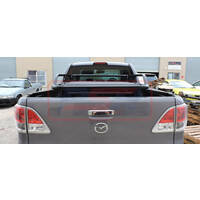 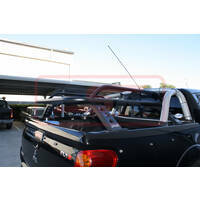 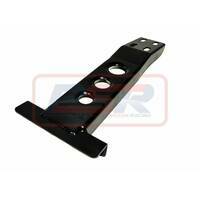 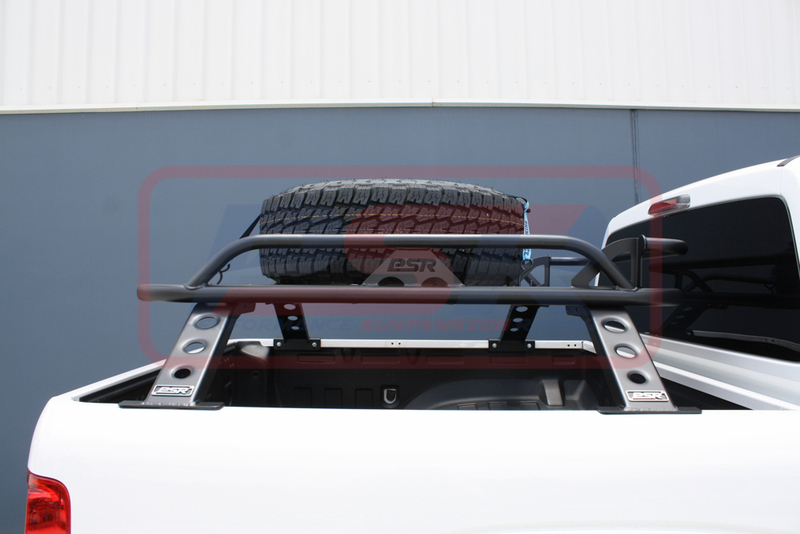 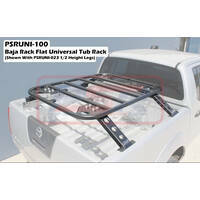 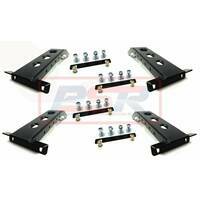 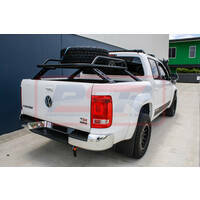 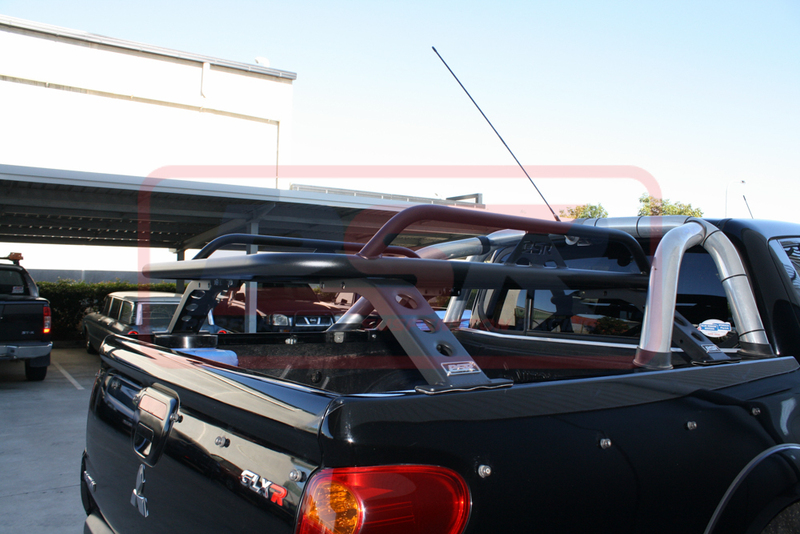 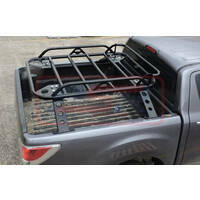 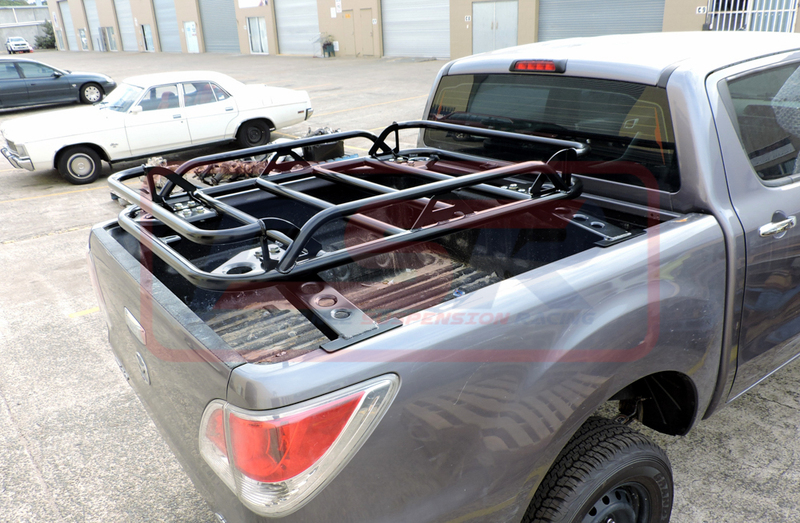 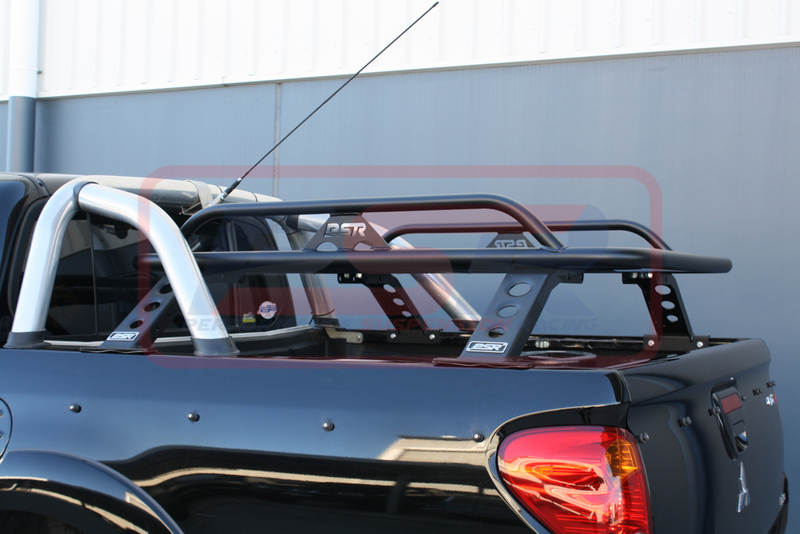 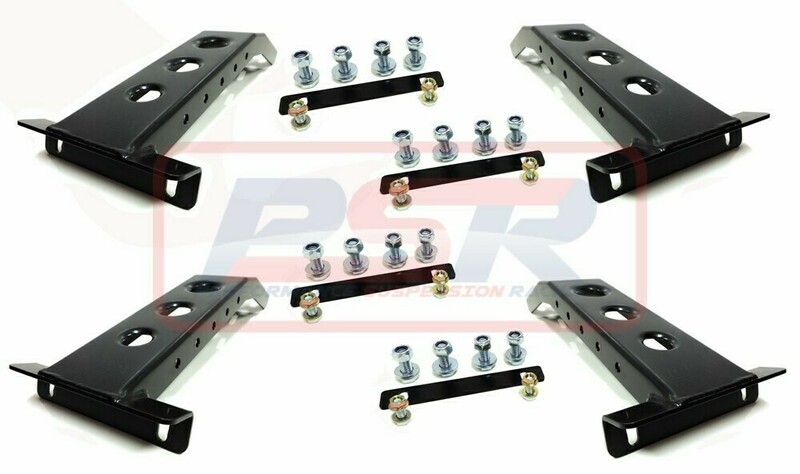 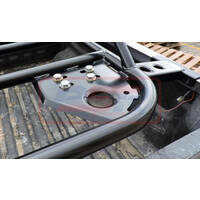 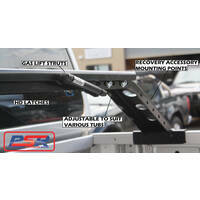 PSR has designed a functional and multi-vehicle Baja rack system for late model dual cab utes. 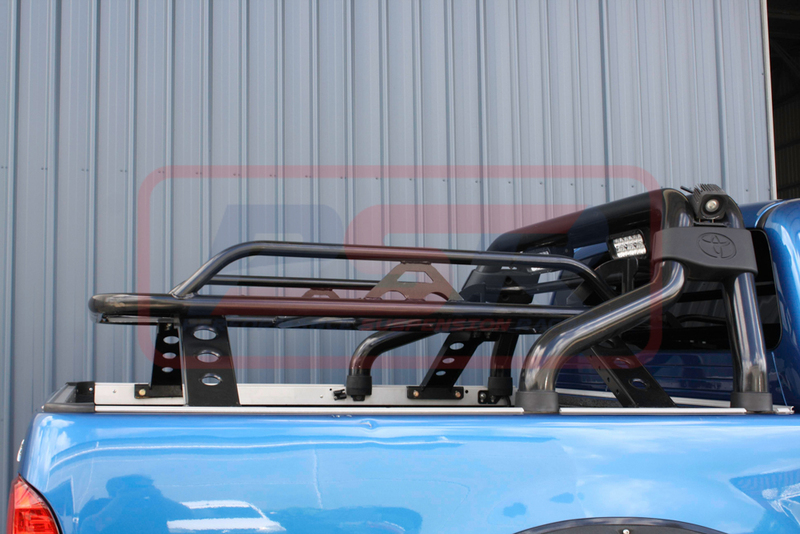 Rack is fabricated from 42NB thinwall tube to keep weight down to a featherweight 36kg unlike others which can weigh over 55kg using standard size tube which puts major stress on tub sides which can ultimately end in cracking around the mounting area. 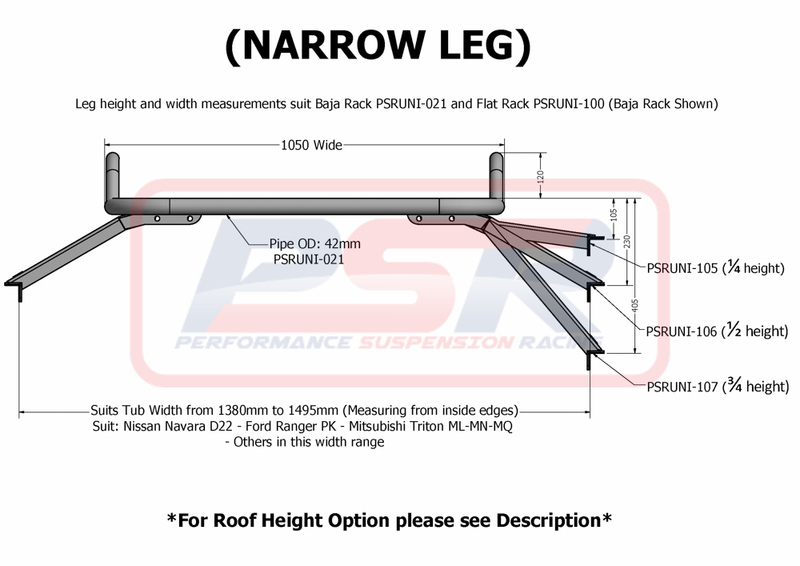 The rack has an adjustable leg system which allows the fitment to any tub with an internal minimum width of 1380mm to a maximum width of 1610mm, this not only allows easy installation but also if the time comes to sell the item your potential customer base is not limited to the one model. 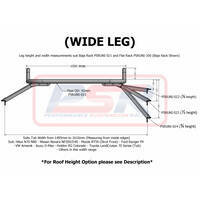 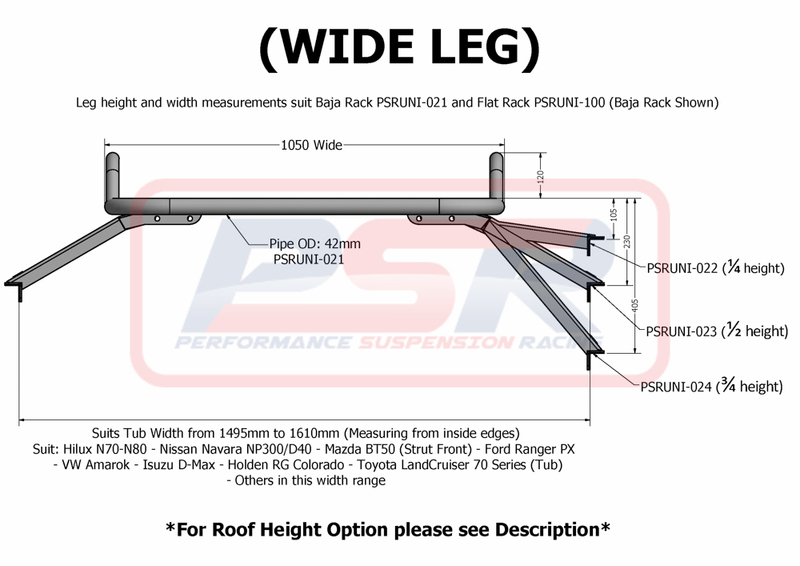 Further to these functions there are 4 differing leg heights, 1/4 leg height sitting 105mm above top of tub line, 1/2 height at 230mm above tub line, 3/4 height at 405mm above tub line and Roof Height leg set which is based on individual vehicle heights to sit the top of the tubing 70mm above roof top to allow coupling to roof racks. 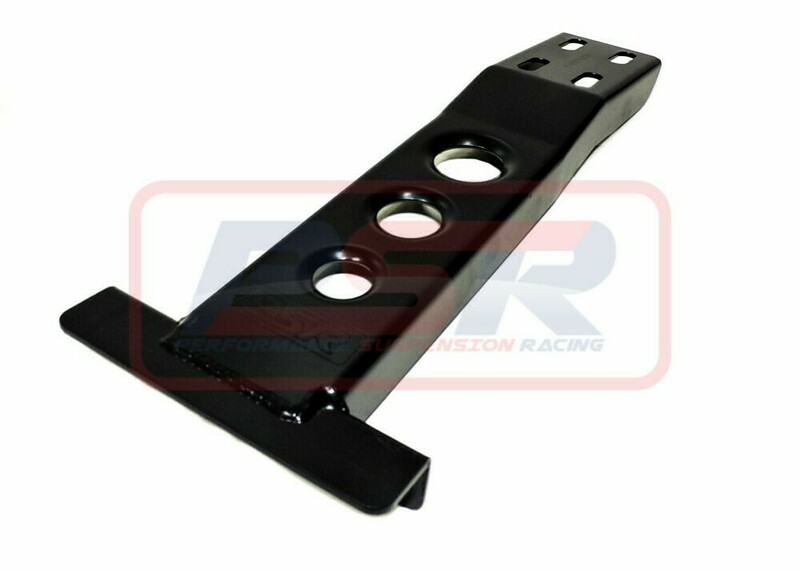 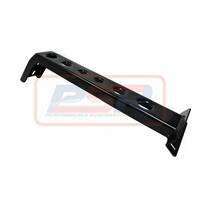 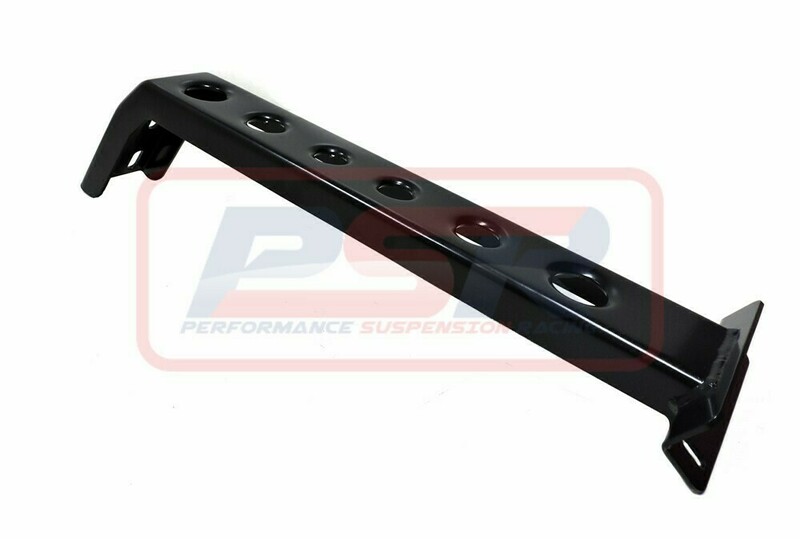 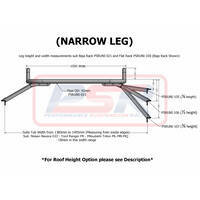 Single end bars are supplied with the rack and again are bolt on to allow fitment either front or rear depending on look and functionality, bars are also available to be purchased singularly to have a bar front and rear to pack items against. 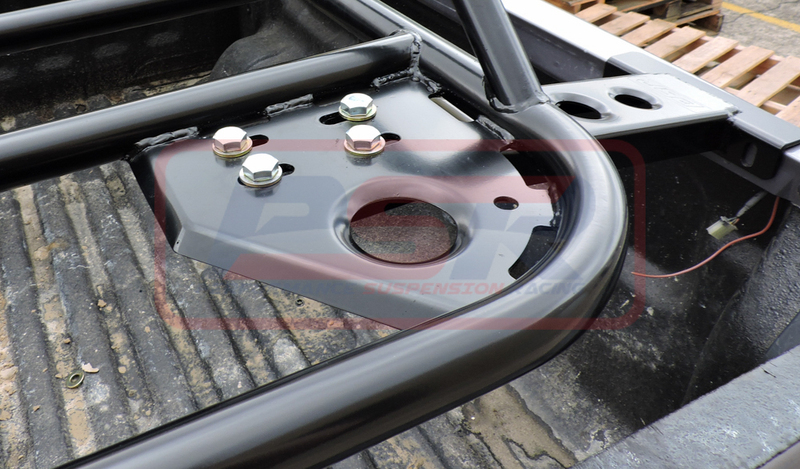 Corner plates are cut and folded 5mm plate for ultimate strength and feature dimple dies and holes for mounting points. 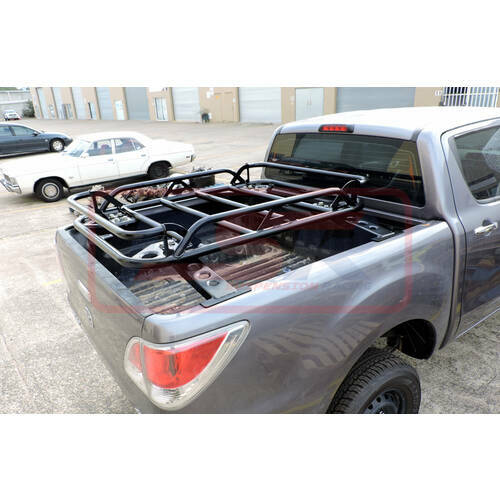 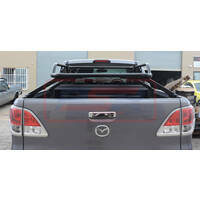 Single mounting points are fixed at each end also to allow triangular ratchet straps to be used to fix up to 35" wheels either above or below rack, these can also be used as tie down points for strapping etc. 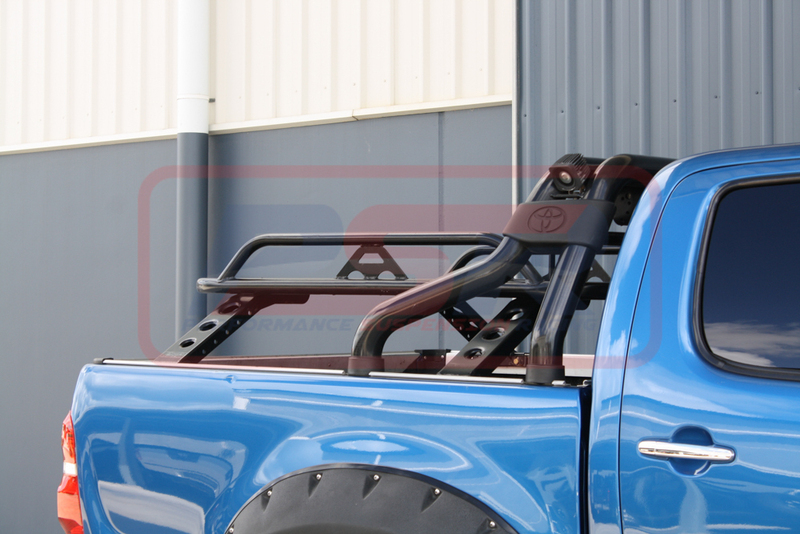 Racks are powder coated black. 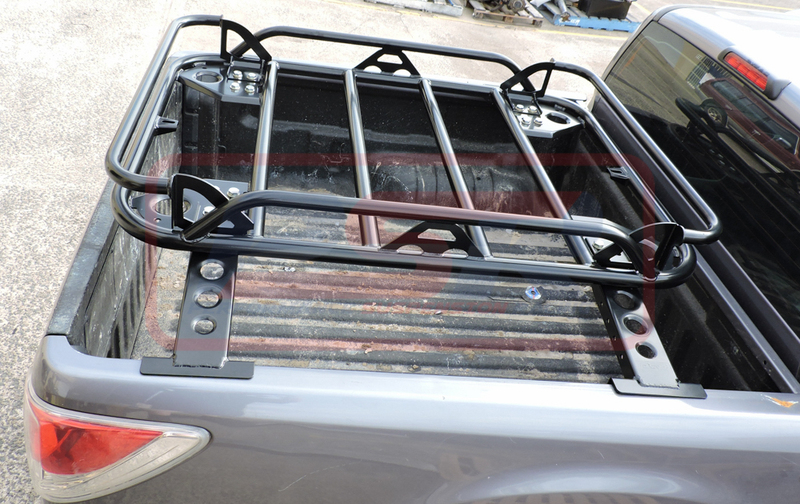 Rack basket outside area dimensions are 1050mm(W) X 1400mm(L) X 120mm(H).